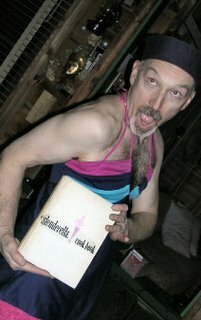 Celebrity Alert! The celebrities are beginning to arrive for Eastre weekend celebrations at Amber Fox. What a stunning, glittering crowd it is, proving once again that for those in the know, the Fox is the place to be. 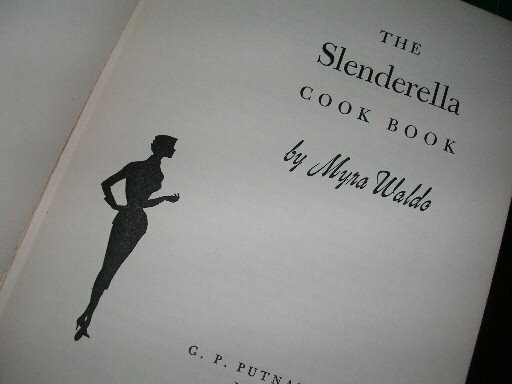 First in the door was the lovely Myra Waldo, super-slim starr authoress, pictured at left, who's on the curcuit pumping out oodles of publicity for the new book that everyone, just everyone, will be reading this spring: The Slenderella Cook Book. 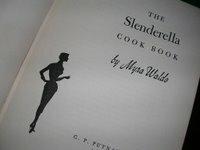 This cook book is chock full of super-yummy receipes and sound dieting advice guaranteed to keep everyone super slender. The starr celebrity authoress was happy to autograph copies for $29.99 plus GST/PST, and she jumped at the chance to get her fingers wet. 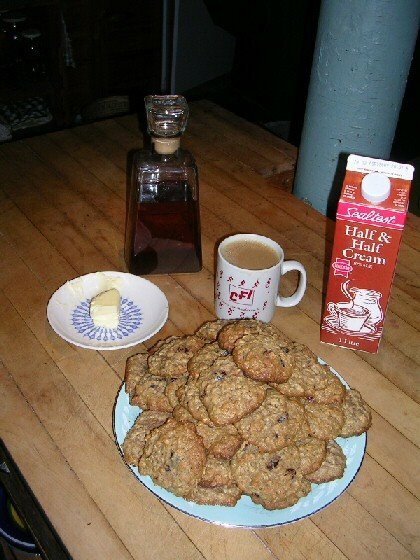 After that she made delicious yet nutritious high fibre oatmeal-cranberry cookies for all the little faeries. Sipping from a carton of half-and-half, Myra told the throng that she always serves these treats with coffee. "Slather on lots of butter and drizzle with maple syrup," she recommends, "and you'll never know these cookies are low fat!" I will always remember it as the "Myra Waldo" Gatherette. Even though I failed to meet the legendary Hostess myself, her gracious shadow touched so much of the festive times we shared that weekend. If only everyone were as generous, vibrant, and BEAUTIFUL as Myra Waldo!